LOS ANGELES -- Shane Gatling picked a good time for a career night. With his mother celebrating her birthday at historic Pauley Pavilion, Gatling almost couldn't miss. Tyler Bey added 16 points and 10 rebounds, and D'Shawn Schwartz had 15 points for the Buffs (13-9, 4-6 Pac-12). "It feels fantastic," Buffs coach Tad Boyle said. "We had 22 assists and we really shot the ball well. It's really time for our guys to have the success in shooting." "Gatling is incredible," interim Bruins coach Murry Bartow said. "Obviously our zone had some holes in it and Gatling found it." UCLA closed to 60-59 on a 3-pointer by Jaylen Hands before the Buffs controlled the game's final nine minutes when they outscored the Bruins 26-15. "We're a really young team," Bartow said. "A lot of times when things start going badly for us a two-point deficit turns to four, then six, then eight or 10. It's just a frustrating loss." Colorado hit 13 3-pointers -- one off its season high -- in the game, made 15 of 16 free throws and had a season-high 22 assists on 28 made field goals. "I like our toughness has been during the last couple of games," Boyle said. "The guys are really dialed in right now." "I'm just trusting the process. I'm listening to everything coach says," Brown said. "We work hard every single day in practice. I have faith we will do well this season." "Just going to keep pushing going forward," Hands said. "Get better at what we need to get better at. We know where we need to be." UCLA's leading scorer Kris Wilkes was held to eight points on 3 of 11 shooting. He averages 17.8 points. Bartow said Wilkes felt ill at halftime. "We did a great job in getting stops in the first half," Schwartz said. "I think getting stops gets them down and we got on them early." 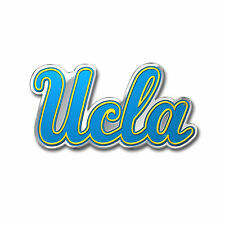 UCLA: The Bruins' funk continues. Their second straight loss dropped them to .500 in league play as they fell to 5-5 under Bartow. The Bruins didn't budge from their zone even when the Buffs hit open 3-pointers. Bartow said he considered switching but only briefly. "No one knows this team better than I do," he said. "I know what we're good at. I know what we're bad at so I know what defense to play. We're a lot better in a 2/3 or 3-2 right now than man. Defensively, I'll do whatever we need to do to win a game." UCLA continued its celebration of alumnus Jackie Robinson's 100th birthday (Jan. 31) with a halftime presentation to actress Ayo Robinson, one of his 15 grandchildren whose father is Robinson's son David.